Output: Maximizing this control increases output, sustain, punch, clarity and treble EQ. The sweet spot is adjusting in comparison to the Intensity Control. An optimal Output setting is usually between 3/4s and maximum. Intensity: Special circuit tunings allows a full range of fluid, over-driven Hi-Octave Fuzz tones. Lower counter-clockwise settings allow cleaner, warmer Octave sounds. Higher clockwise settings gradually increase saturation, output clipping and treble EQ. 1. 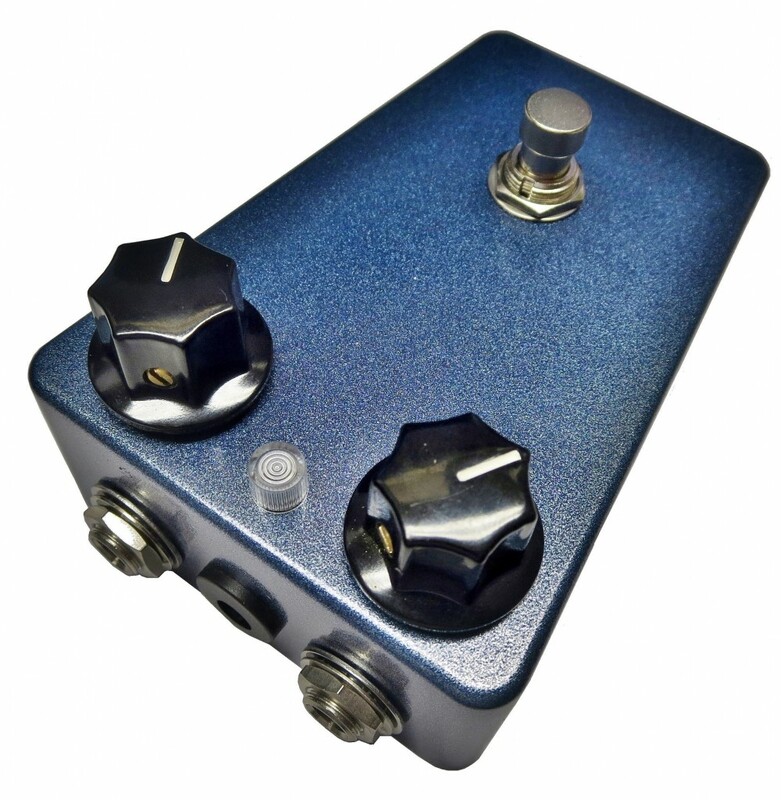 Placing the Metallic Blue Hi-Octave Stardust™ before overdrive and fuzz pedals is usually most optimal. As part of the Chase Tone Stardust Effects Pedal series with finishes inspired by a love for astronomy. Enclosure-mounted (with stop-lock-tab), PCB-mount Potentiometers soldered onto thick fiberglass circuit board with plated-through-holes for reliable performance on the road. 360° viewing angle hi-brite RED Light Emitting Diode w/ clear high-impact diffuse-ribbed ABS plastic protector. United States Customers USPS Priority Mail in USA w/ Insurance & Deliver Confirmation. International Customers USPS First Class Mail w/ Tracking. 1-3 weeks approx delivery from date of shipment. Customs may add additional wait times. Have a question? Please use the contact form below including your name and country and we’ll get back to you shortly!